Aztec Ruins National Monument - Super Inky! On my trip to the Four Corners, I went to three different park service sites. The last park I saw was Aztec Ruins National Monument in New Mexico. It's a really cool park! 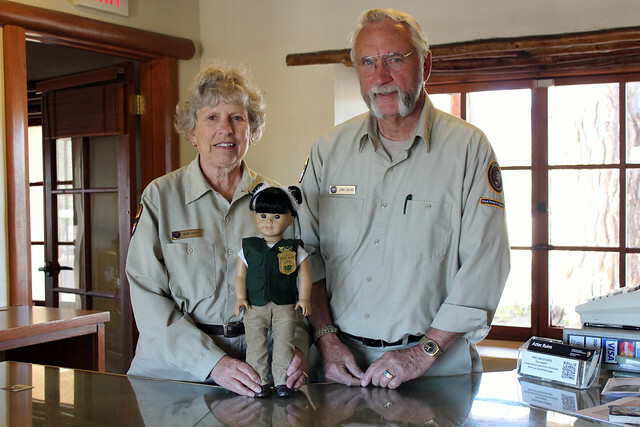 The rangers and volunteers are knowledgeable and friendly. Plus, the park is fascinating. I started out in the museum, where I worked on my junior ranger booklet. It has a lot of cool artifacts and displays that teach visitors about Ancestral Puebloans. Then it was time to explore the Ancestral Puebloan structures! I loved exploring the park. There were several parts where you could actually go into and onto the structures. In fact, there is a gorgeous reconstructed kiva too! Aztec Ruins are not really Aztec, but rather Ancestral Puebloan- just like many of the other parks I have visited. In fact, the people who lived at Aztec Ruins may have visited Chaco Canyon. Doesn't this series of doorways remind you of the doorways from my trip to Chaco Canyon in this post? I really liked going into the buildings and imagining what it would be like to live there. Wouldn't it be cool to live in an Ancestral Puebloan great house with lots of other families? I would eat corn and turkey and maybe even swim in the nearby Animas River. 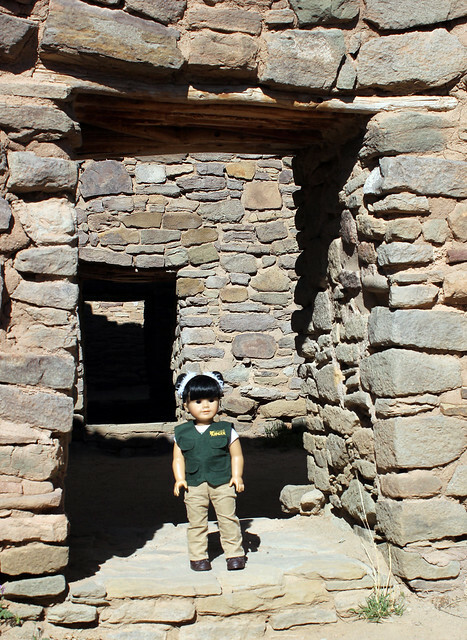 Once I had finished exploring the different structures with my family, it was time to turn in my Junior Ranger booklet and be sworn in at Aztec Ruins! The volunteers were nice and very sweet about the questions I didn't answer correctly. They gave me my badge and then it was time to make the long drive through the mountains to our hotel. I loved visiting Aztec Ruins. I just wish I'd had time to stay longer and explore more. 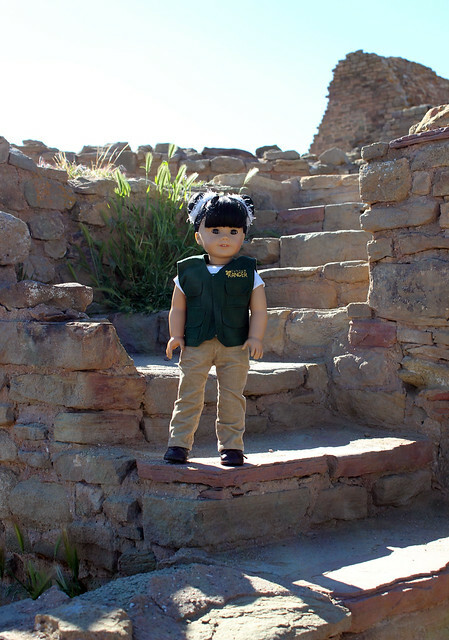 One of the neat features of Aztec Ruins National Monument is that you can do their Junior Ranger program online and earn a patch! 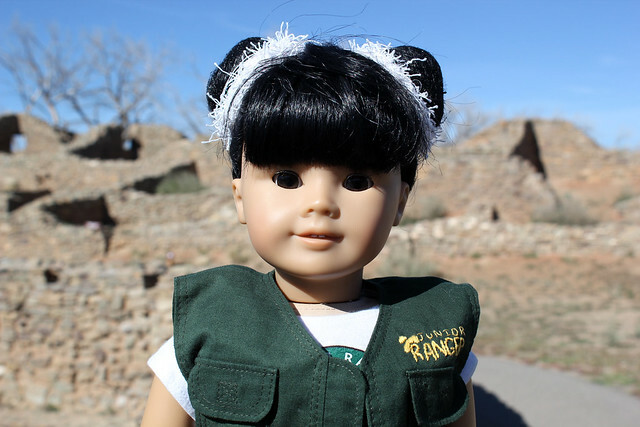 If you'd like to learn more about the park and participate in the online Junior Ranger program, click here! Thanks so much for reading! Would you visit Aztec Ruins if you had the chance? Is there a National Park Service site near you? Wow, that's so cool! Looks crazy fun XD I think the closest park to me is Yellowstone, but I'm not really sure. I feel like an idiot - I totally mis-read the title! I thought it meant that a national monument had been ruined by an Aztec! That being said, it was much more interesting to read about the actual Aztec Ruins site!